The legal strategies for defending hospitals against medical legal liabilities are certainly many and varied. An additional consideration to augment every defense strategy might be contained in each hospital's own store of big data. Heretofore these data have been underutilized for medical legal purposes because the millions of data elements have not been aggregated in a way as to be both clinically and legally meaningful. Thus, without clarity and context they have been of minimal benefit to hospital defense counsels. Hospitals assiduously collect and store millions of clinical and financial transactions per year as medical staff members diagnose and treat thousands of patients. These data are collected to practice better medicine, comply with governmental and third party reimbursement and quality regulations and to document care processes that minimize the chance of creating any incident that might trigger a medical legal issue. The technologies that have been developed for assisting physicians and hospitals to improve clinical care and successfully address these issues are now available for an entirely different application- medical legal defense. Collecting virtually all inpatient data is now an imperative. America's hospitals and medical staffs are under tremendous pressure from every regulatory and commercial sector to achieve the Triple Aim of Healthcare, which consists of: improving patient access and experience; improving patients' health and functions; and, reducing costs. In a word, patients and payers are demanding value, which is high quality care at reasonable prices. These pressures have been the basis for Verras Ltd.'s development of sophisticated clinical systems that facilitate physicians' abilities to continuously improve medical outcomes using patient and disease specific information. These data are routinely used for inpatient clinical process improvements and have been deployed to answer limited questions concerning inappropriate hospital mortalities by Verras' founder, William C. Mohlenbrock, M.D. But the comprehensive statements of quality, generated by the hospital's stores of big data, have not previously been utilized to defend the institution during medical legal disputes. But they are now readily available to the legal team for this purpose. Whatever the nature of the medical legal allegation in question, it most probably occurred in the environment of the hospital's plethora of competent, if not excellent, clinical processes and outcomes. The incident was probably not due to widespread, improper patient management, as may have been alleged by the plaintiff. But to refute such an allegation, high quality cost efficient care must be objectively demonstrated across a broad base of patient experiences to be effective as a defense. There are six, major metrics used to measure and improve inpatient (hospital) clinical quality. Verras Ltd has a 30-year history of developing unique clinical systems to facilitate physicians' use of these measures for the purpose of improving quality. The six metrics are: National Hospital Quality Measures plus HCAHPS to quantify 'Patient Satisfaction'; Hospital Readmission Rates; Mortality Rates; Morbidity (Complication) Rates; Reductions in Variation (RIV) and Resource Consumption (Costs). Two of these measures, resource consumption and Reduction In Variation, bear special mention regarding their importance to quality of care. Resource consumption has both financial and quality implications because virtually every resource that physicians deploy for medical testing or treatment has some sort of complication associated with the resource, be it an X-ray or medication. Reduction In Variation is arguably the most sensitive quality indicator because it objectively quantifies the extent to which the physicians, nurses and all other hospital personnel are working together to improve patient care. Allegations asserting negligence in care coordination might be refuted if the hospital can objectively demonstrate the consistency of their clinical processes. This is just one such use for RIV in the refutation of negligence. Another very important aspect of quality assessment for hospitalized patients is that of risk adjustment. This simply means accounting for each patient's severity of illness, irrespective of his or her age, gender or clinical condition. Risk adjustment is actually the basis for evaluating all clinical information. Processes and outcome comparisons are only valid when patient cohorts are aggregated by similar conditions, such as Diagnosis Related Groups (DRGs) and by comparable severity of illness levels. Moreover, a clinically reliable method of determining patients' severity of illness is mandatory for physicians' intellectual acceptance and participation in a quality assessment or clinical improvement initiative. Stated in its most basic terms, patients who are sicker have higher expected mortality and morbidity rates and greater needs for all types of resources. To achieve the noble goals of the triple aim, it has become important for providers to control the wide variations in clinical and financial outcomes that threaten to scuttle the entire US healthcare system. Through the power of value-based healthcare purchasing, public and private healthcare purchasers are becoming more aggressive in their insistence that hospitals and physicians hold themselves accountable to these aims as a basis for treating Medicare, Medicaid and private patients. More specifically, purchasers are demanding value for their expenditures just like when buying all other products and services. These demands are creating a mandate for hospital data acquisition, which if properly aggregated and analyzed can be used by the hospital's legal counsel to defend against allegations of malpractice or other clinical malfeasance. An analysis of the twenty most common causes of hospitals' medical malpractice suits revealed that problems arise when medical staff and other hospital management do not collaborate, which results in practice variability that can lead to patient morbidities (complications) or even mortalities. Such processes can only be ascertained by measuring variations as expressed by Reduction In Variation (RIV). Hospitals and traditional clinical data processing organizations do not record these variations, but Verras' clinical information system routinely quantifies them. According to W. Edwards Deming and other quality experts in many non-medical fields, Reduction In Variation (RIV) is the essence of quality improvement. Moreover, a prominent medical thought leader, Don Berwick MD, has succinctly correlated reductions in clinical variations (RIV) with quality improvement by stating, "reductions in variation (RIV) over time are a direct result of providers reasoning together to improve their consistency and the quality of their patients' outcomes." Certainly "reasoning together" to reduce variations and improve outcomes is an established means of improving value. However, the specific provider activities to consistently achieve these variation reductions have not previously been measured and trended. But they have now and can be made available to the hospital's defense team as well as to physicians. Only the legal team would know, but being able to demonstrate medical outcomes throughout all clinical services might be an advantageous piece of corroborating legal information, regardless of the specific allegation in question. Medical legal experts who are engaging in the defense of a specific allegation against their client hospital will be deploying their own tried and true tactics on behalf of the client. In some instances, but probably not all, the counselor may find it advantageous to have all the client hospital's major metrics of clinical quality, risk-adjusted and trended over a three-year period to demonstrate the hospital and clinicians' expertise across all patient groups. Though such an analysis has not been available in the past, it is presently accessible and might just be the information needed to successfully refute or ameliorate an allegation relating to the hospital's clinical competence or outcomes. In summary, the hospital's data and the expertise to interpret them are readily available for incorporation into the defense team's strategy. 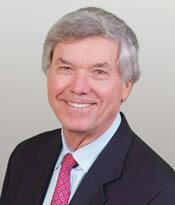 William C. Mohlenbrock, MD, FACS, has practiced General Orthopedics and Trauma Care, including total joint and arthroscopy surgeries and sports medicine and related injuries for many years at Scripps Memorial Hospital in La Jolla, California. He is senior physician in a group of 8 orthopedic surgeons and 2 Physician Assistants. Dr. Mohlenbrock assists the legal profession whose clients are either plaintiffs or defendants.